Based on a cooperative framework of more than 10 years under an MOU with the Ministry of Health in Myanmar, Niigata University launched the project for respiratory infectious diseases in Myanmar in 2015. With the recent occurrence of emerging and reemerging infectious diseases, it is necessary to enhance control measures more than ever before. Niigata University (NU) in Japan and National Health Laboratory (NHL) in Myanmar shall aim to promote the Joint Research Project for the prevention and control of infectious diseases leading to mutual benefits of Myanmar and Japan. Supporting technologies of medical research for improving public health. Exchanging medical researchers and health workers between Myanmar and Japan to establish mutual trust by sharing knowledge and achievements. Developing research base in Myanmar for promoting translational research between basic science and medical practice. Through this project NU and NHL will clarify the epidemiology of respiratory infectious diseases by bacterial and viral origin, and to analyze pathogens to see antigenic characteristics, genetic evolutions and to find out relationship with host factors. 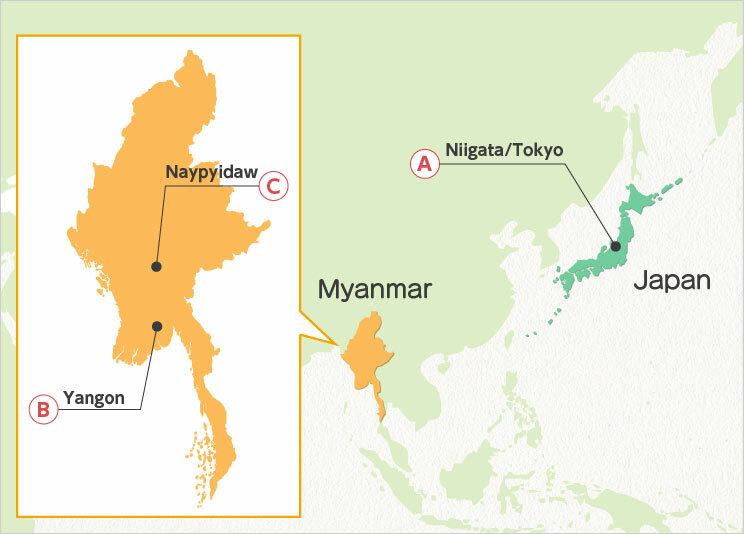 By establishing surveillance systems for respiratory infectious diseases, both Myanmar and Japan can build a capacity for early detection	of emerging infectious diseases that may appear at any time and may cause serious impact to lives of people. At the end, we hope our project will help develop new antibiotics/antivirals, vaccines, and diagnostic devices that contribute to prevention, diagnosis, and treatment of respiratory infectious diseases. We aim to enhance the surveillance of influenza and other respiratory viruses. We intend to evaluate current seasonal vaccines by analyzing match with circulating strains and to contribute to the development of new vaccines through the analysis of antigenic changes of viruses, and to share information with the World Health Organization (WHO) and the National Institute of Infectious Diseases, Japan. Through analysis of influenza virus genome, we will create distribution maps (Geographic Information System, GIS) of genotypes including information from surrounding countries, and assess risks of spread of influenza in Asia. We intend to identify microorganisms isolated from the respiratory organs and blood specimens of patients with severe pediatric pneumonia in Myanmar. At the same time, we will compare characteristics of viruses or bacteria (such as genetic information or antimicrobial resistance) with those in Japan and surrounding Asian countries to assess risk of their spread in Asia, and to make recommendations for the judicious use of antimicrobial drugs. We intend to develop non-invasive diagnostic methods using saliva and urine to assess prognosis, presumptive diagnosis, and treatment of patients with tuberculosis and nontuberculous mycobacterial infections, and the detection of patients prior to the onset of disease. Office and laboratory for our joint project is located in National Health Laboratory (NHL) of Myanmar. We plan to establish laboratory for cell culturing and molecular biology. The NHL was established in 1963 as a union of five institutes including the Burma Pasteur Institute. Currently the institute is affiliated to the Department of Medical Services of the Ministry of Health. The NHL is comprised of various departments which support the medical and public health systems in Myanmar. These include the Sections of Virology, Bacteriology, Serology (Sexually Transmitted Infected Diseases, STI), Parasitology, Immunology, and Clinical Pathology. Since 2007, Niigata University has been actively providing technical support for the Virology Section, through the mutual effort NHL was designated as a National Influenza Center by WHO. 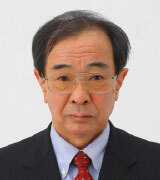 At present, joint researches with various organizations including Niigata University, Institute Pasteur, KOIKA (South Korea), JICA, and the National Center for Global Health and Medicine (Japan) is underway, and these organizations are actively promoting international cooperation and researches for public health. University of Medicine 2 (UM2), Yangon was established as Medical College 2 in Mingaladon Township on July 15 1963. 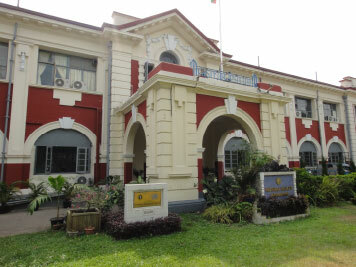 Although it was initially founded as a faculty of Rangoon University, under the Ministry of Education, in 1964, it was transformed as an independent Institute of Medicine 2, Yangon. Thingangyun Sanpya General Hospital became the fourth affiliated hospital of the Institute of Medicine 2 in 1996. Since June 10, 2005, Institute of Medicine 2, Yangon was upgraded as University of Medicine 2, Yangon. Institutional aim of UM2 is to produce competent basic doctors and highly qualified post-graduate physicians. School vision is to become an internationally recognized university of medical profession, and school mission is to keep abreast with the standard of international medical profession by producing highly qualified medical doctors. 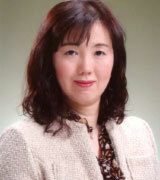 In 2013, UM2 signed a letter of intent with the School of Medicine of Niigata University, and research exchanges with Niigata University are ongoing. 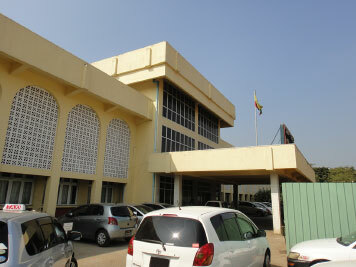 Thingangyun Sanpya Hospital is a 500-bed public hospital that opened in Yangon in March 1994. It covers a population of 1.3 million, the hospital has 17 diagnostic and treatment departments and wards for 12 diagnostic and treatment departments. As an affiliated hospital of UM2, it plays an important role in the clinical training of undergraduate students and young doctors. Dr. Yadanar Kyaw, head and professor of Department of Respiratory Medicine studied at and received her PhD degree from the School of Medicine of Niigata University and is currently participating in this project as one of main collaborators in clinical side. The Yankin Children Hospital (YHCH), a 550-bed hospital for children, opened in March 2011 at the former building of the Ministry of Mining. 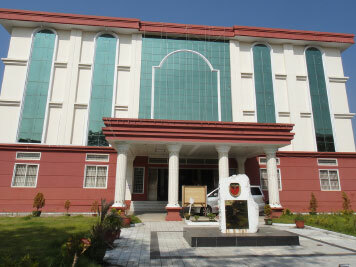 Like Sanpya Hospital, YHCH is an affiliated hospital of UM2, YHCH plays an important role in the clinical training of students and young doctors. Dr. Khin Nyo Thein, professor of the Department of Pediatrics, is participating in this project as one of key collaborative doctors in charge of research on severe pediatric pneumonia. © 2016 Niigata University. All rights reserved.